All hail the Midwestern emo scene, it seems to produce winner after winner. The same goes for House Olympics, a new group with a decidedly heavier influence from Bloomington, Indiana. The band takes it’s influence from emo’s more punk roots, opting for heavier vocals and more straightforward guitar volume but keeping the genre’s poetic lyrics. Their first release, the “…And My Mind is Restless” EP is four songs of angry music and mixed emotions, all of which feels purposefully unresolved. As with many emo bands, the band – TJ on guitar and a pair of Adams on drums and bass, with all singing – makes an effort on unique song titles. The opener, “Get #rekt Steve Jobs,” is instrumental, but sets the tone with a forceful rhythm that builds upon itself, to drum up intensity going into the first proper song, “Tossing, Turning, Treading.” “Tossing” is equally forceful, at least at first, with some strained, screamed vocals and the punk-emo blend at it’s strongest. But the song takes time for an extended breakdown, so it isn’t just a blast of energy. “Everest” is a more lyric-based song, with clearer vocals and lyrics about going to great and sometimes violently emotional lengths to figure out your personal issues, without any resolve. “I would be willing / To get hit by a car / Just to knock the sense back into me.” The lyrics are pretty typical of emo – introspective and sad, rough and filled with questions that don’t have answers. It’s the EP’s most emo-based song, and possibly the best song. The finale “Super Smashed Bros” (another great title), meanwhile, is a more punk-based song, with a deceivingly emo rhythm played over some distant-sounding drums, until the song builds into a long and grinding climax. Layered vocals and a crunching guitar add to what becomes a dense and loud finale, a little unsuspecting at the beginning of the song. 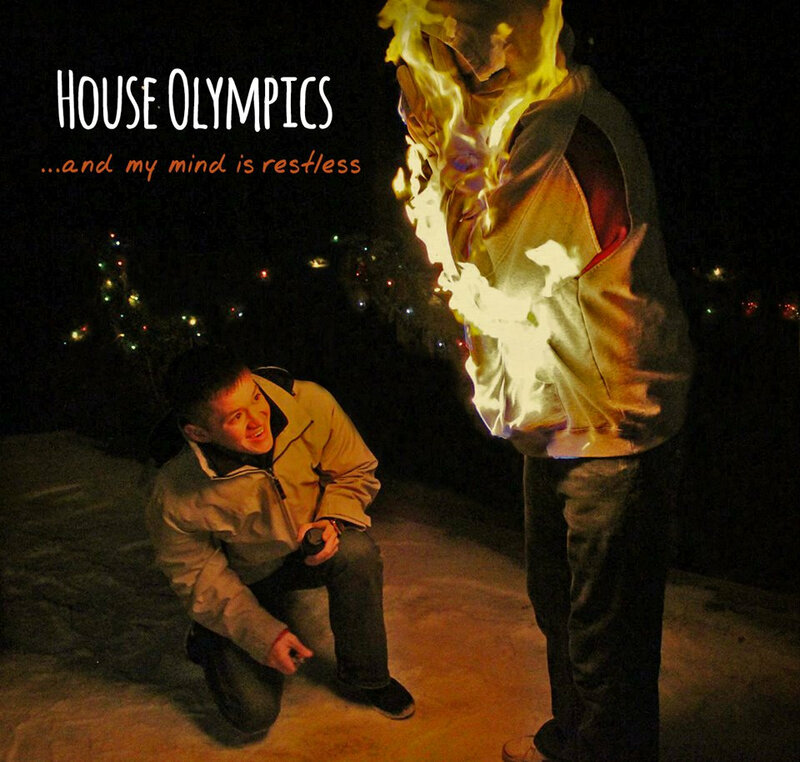 Despite only being four songs, House Olympics manage to give their EP a strong intro and outro. House Olympics benefit from having all three members sing – their different voices are noticed throughout the EP. Where the vocals are particularly throaty in “Tossing,” they’re sometimes clear and even spoken in “Everest.” This, alongside the punk/emo mix, helps the four songs to stay unique from each other, while maintaining a cohesive sound for the young band. “…And My Mind is Restless” is a promising release, as House Olympics are able to develop their own sound without rehashing what their predecessors have done. It’s within the realms of emo and punk, but isn’t truly either. It’s loud and emotional, and properly conflicted in both it’s tone and it’s themes. The album can be streamed and downloaded here. If you like this, try: I’ve come across a number of punk-influenced emo bands lately, so I’d link House Olympics up with Grammer and Sinai Vessel. “Twinkly emo” is a terrible name for a genre, but it’s impossible to ignore the almost meteoric rise of emo’s fourth-wave. (It’s practically founded this blog). Fourth-wave emo has risen like drug rock did in 1967, thanks largely to now-defunct bands Snowing and Algernon Cadwallader channeling Midwestern second-wave bands. Since then, pop-punk and punk bands like the Menzingers, Dads and Modern Baseball have fallen inline with the genre, as have more creative bands like the collective The World is a Beautiful Place & I Am No Longer Afraid to Die’s discordant six minute songs about volcanoes. But bands like Grammer – properly from the Midwest – invoke a simpler, 2011 sound that’s somehow now a throwback to a throwback. Grammer’s debut EP is five songs and roughly thirteen minutes, and really feels like the EP’s of the subgenre’s two origin bands. All five songs are midtempo and are grounded by those (ugh) twinkly guitar rhythms that dominated pretty much every song Snowing ever recorded. Opening track “Astronaww, Man” even sounds a little like Snowing. They seem to channel a few different specific influences throughout the EP. 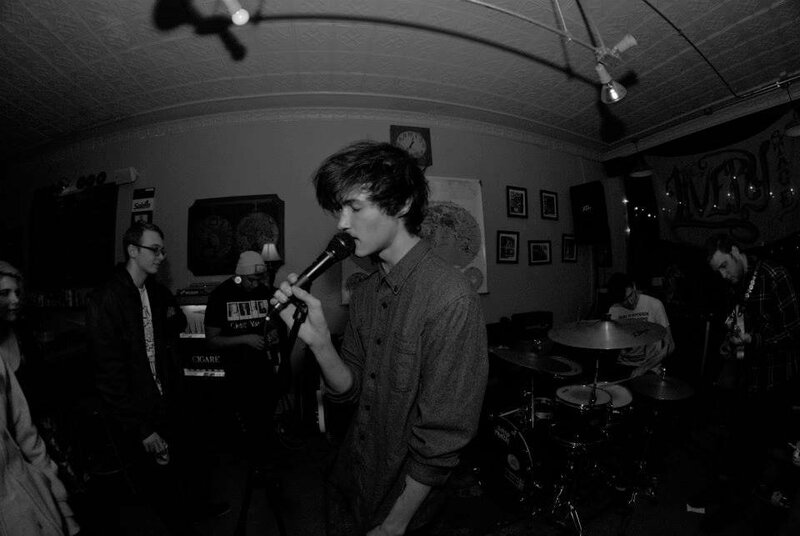 “Coy Wolf” matches Algernon Cadwallader in it’s harsh vocals ugly pairing over clean riffs. “Quit (Your Job)” sounds a little like Dads, with more of a chord-based punk sound. But this isn’t copying predecessors, because Grammer have their own sound. They’re a little grittier, and their lyrics about childhood and life eschew complaining for apathy. The people in Grammer – Maxx on vocals, Dakota and Miles on guitar, Grady on bass, and Alex on drums, are good musicians and songwriters. This EP fits nicely into the ever-increasing qualifications of fourth-wave emo, without sounding like it’s trying to. It hints at indie and punk, and hints at some emotions and lyrics thematically different than most emo bands. And there are surprises – like the great false ending to “Cigarette Regimen.” “Emo” has become an umbrella term over the last year, for any sort of sad, poetic, relatable, twinkly, fast, slow, loud, soft combination desirable. Grammer are more straightforward than most, and “Awesome Knifes” is a promising EP for a proper, no-frills, Midwestern group. The EP is available for stream and downloading here. If you like this, try: It should be obvious here that I’ll mention one of two bands. So try any releases by Snowing, if for some reason you haven’t already. Sup, Muscles? - "More Feelings"
Kyle Kinane - ""I Liked His Old Stuff Better""